You have been given an opportunity of a lifetime. A business operates twenty four hours a day. The owner wishes to take a holiday and has requested you to run the business for one month. The arrangement is that for every second that you will personally man the business, you will get paid twenty rands. If you have to leave the business for any necessity, the person who relieves you will get the money for the duration of time that you are out! You have obviously grabbed the opportunity with open arms. First let the above scenario settle in the mind. Now imagine that the month of running the business has just commenced. A close friend phones to invite you to a lavish function. “You must come,” he urges. Your almost spontaneous reply would perhaps be: “I am sorry but I am very busy and will not be able to attend.” The first weekend comes. Your children want to “go out for a drive.” “Not today. I am very busy,” says their father. The children’s mother also wholeheartedly agrees. After all she is also dreaming every night about what she will do with the twenty rands per second that her husband is earning. Hence she does not ask to be taken anywhere. How can she even think of it. Twenty rands per second — and just for one month only! And you … well obviously you are working beyond the limits of overtime. No time to eat in peace. Only the minimal amount of sleep. No shopping. No “drives.” No time to sit around with friends over coffee. And entertainment? Whatever is that? The very word sounds unfamiliar. All this due to the once in a lifetime opportunity of earning twenty rands per second for one month. Allah Ta’ala is also granting us a lifetime’s opportunity. The month of Ramadhaan with its unlimited blessings is here. One month in earnings at the rate of twenty rands per second cannot even be called petty cash in comparison to the rewards that Allah Ta’ala grants and the blessings and mercy that He showers in the month ofRamadhaan. Every Ramadhaan must be treated as a once in a lifetime opportunity since we have no idea whether we will live till the next Ramadhaan. What are the rewards of good deeds in the month of Ramadhaan? The reward of every Fardh (compulsory) act is multiplied seventy times while every Nafl (optional) act earns the reward of one Fardh out of Ramadhaan. It is important to understand the latter aspect in its proper perspective. Tahajjud (Nafl Salaah in the last third of the night) is an extremely great ibaadah. Great virtues have been narrated for this Salaah. However, a lifetime of tahajjud cannot euqal one Fardh of Fajr Salaah! Yet in the month of Ramadhaan Allah Ta’ala grants us the reward of a Fardh action for every Nafl performed. While one should engage to the maximum in the above good deeds, the purpose of Ramadhaan must be kept foremost in mind, which is to acquire Taqwa (Allah-awareness and piety). Thus together with the maximum amount of righteous actions one must totally refrain from all sins. One month of strictly conducting oneself in this manner will Insha-Allah have the effect of enabling one to live the next eleven months in a similar manner — in the complete obedience of Allah Ta’ala. May Allah Ta’ala enable us to appreciate and value the month of Ramadhaan — more than what we value twenty rands per second. Before any event, preparations are made. In proportion to the event are the preparations. If it is a small event, then perhaps the preparations will commence a few days before and it will involve a few individuals. If it is a worldwide event, then preparations will commence weeks, rather months in advance and will involve many people. Likewise, we will witness, if Allah Ta’ala wills, such a grand, magnificent event that preparations have commenced for it an entire year in advance. Jannah is prepared and beautified by Allah Ta’ala the entire year for the moment when its doors will be flung open on the first night of Ramadaan. Such a great month that leave alone man, the entire creation of Allah Ta’ala is mobilised for it. The fish in the ocean make dua for the fasting person (Musnad Ahmad). The angels in the heaven make dua for their forgiveness. Precisely for this reason, Nabi (salallahu `alahi wasallam) declared this month as `azeem (great) mubaarak (blessed) (Ibnu Khuzaymah). It is a month in which Allah Ta’ala engulfs His creation in His rahmah. The excellence of this month has been encapsulated in the following words of Rasulullah (sallallahu `alahi wasallam) as reported by Abu Masood (radiyallahu `anhu): “Had my Ummah only knew the true value of Ramadaan, they would have desired that the entire year be Ramadaan” (Ibn Khuzaymah). Nabi (sallallahu `alahi wasallam) would make dua to be allowed to witness the month of Ramadaan from the time the crescent of Rajab would be sighted. “O Allah! 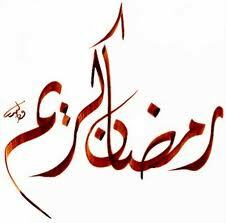 Bless us in Rajab and Sha`baan and allow us to witness the month of Ramadaan” (Tabarani). He (salallahu `alahi wasallam) would also make the following dua: “O Allah! Safeguard me for the month of Ramadaan and guard the month of Ramadaan for me (that I attain the maximum blessings of this month)” (Tabarani). Imaam Suyuti (Rahimahullah), a renowned Shafi` scholar narrates in Ad Durrul Manthoor from Mu`alla bin Fadhl: The pious people of the past would begin making dua to witness the month of Ramadaan six months in advance! What can we do in preparation for Ramadaan? Firstly, fulfil all obligations that are outstanding towards people whether it be of a monetary nature or anything else. Secondly, try and programme ourselves in such a way that we have minimum work in Ramadaan and maximum time to dedicate to Allah Ta’ala. Thirdly, draw up for ourselves a programme, deciding how we will utilise our time fruitfully during the Mubarak month of mercy. Lastly, try and increase our time spent in the pleasure of Allah Ta’ala so that we are ready to receive this great month. May Allah Ta’ala grant us the best of this month and shower us with his mercy and forgiveness. Aameen. This then is the object of Ramadhaan. This will only be achieved if we conduct ourselves in this great month with Taqwa. Or else the object of Ramadhaan will be defeated. Hence Rasulullah (sallallahu alaihi wasallam) is reported to have said: “He who does not forsake lying and other futile actions, Allah Ta’ala has no need for him to give up his food and drink.” Thus together with fasting, performing Salaah, reading the Qur’an, serving the cause of Deen, etc,, one must totally abstain from every sin in the month of Ramadhaan and adorn oneself with Taqwa. Insha-Allah this will then carry one along for the rest of the eleven months to abstain from all sins. May Allah Ta’ala enable us to make this Ramadhaan a month where we will truly attain Taqwa. Aameen. Previous Gaza: A War or A Brutal Massacre?